The holiday season starts this week and added stress on and off the job comes with it. The need to juggle additional work and family demands and responsibilities can lead to a wild mix of emotions, such as loneliness, frustration, depression, sadness, and anger. This, in turn, can lead to higher-than-usual levels of stress, which make the entire season something to dread rather than enjoy. Here are three steps to take now to prepare for the holidays. Know your limits. Not everything has to be done or done by you. Be honest about how much you can do yourself and just say no to activities you either don’t want to do or don’t have the bandwidth to do. Focus on what you can reasonably accomplish without beating yourself up and delegate or delete anything you don’t have to do. Plan. Evaluate your work and personal priorities for the holiday season and focus on what’s most important, especially critical tasks and deadlines that must be met. Prepare for employee time-off and consider cross-training now to ensure adequate coverage. Make sure your own job has coverage, so identify what can be delegated in your absence. Do everything in moderation. Limit the parties and your intake of rich food and drink, especially at business-related functions. Just as you do with time, decide where you want to spend your calories and energy. Stick to your exercise routine and remember to meditate to relieve any stress you feel. The holiday season is the time to deepen your personal and professional relationships, so don’t invite stress to the party. According to the American Management Association, 68% of clients stop doing business with a company because of poor service. Losing a customer is costly. Not only do you lose that customer’s business, you also lose all the business they might have referred to you, plus it costs you more time, effort, and money to attract and land new customers. Delivering excellent customer service is challenging and relies on continuous training for everyone who serves customers. Training also is needed for backroom employees who may not directly serve customers, but who facilitate those employees who do. Here are some customer service pitfalls all employees should be aware of and know how to handle if they arise. Slow response time. When a customer contacts you with a problem or issue, they expect fast, efficient, accurate solutions. Require employees to respond to a customer’s inquiry within 24 hours even if they don’t have a resolution. 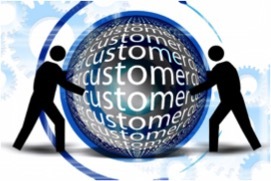 The key is to let the customer know you are working on the issue and to keep the customer involved in the process. Discourteous or dismissive behavior.We all hope no employee is ever guilty of this, but it can happen. Employees may be stressed for legitimate reasons, such as failure of another department to follow-through, lack of inventory or resources, or too much bureaucracy for decision making. Despite the reason, every customer should be handled with care and consideration. Give employees training in dealing with difficult customers and situations, holding their tempers, and using emotional intelligence. Lack of follow-up.It’s never safe to assume a customer is satisfied after a problem is solved. Often, customers just give up and don’t return to a business if additional problems arise. Make sure employees schedule return calls or emails to ensure that the customer is still satisfied and has no additional issues. This will reinforce your commitment to customer service excellence and provide the opportunity to deepen the relationship. Customer service employees have a difficult job. You can make it easier by giving them the skills they need to handle any situation with care. See my program Creating a Positive Customer Service Experience. What Do Millennials and Gen Z Want in an Employer? Millennials (b. 1980-1995) and Generation Z (b. 1995-2010) often get a bad rap in the workplace. Older employees, including managers, find them impatient, unfocused, and difficult to motivate. While some of this is true, it also is true that younger employees want different things from the workplace than their older counterparts, and they find much of today’s workplace frustrating and greatly out-of-date. Frustration and impatience may be coming from having to use outdated equipment and processes. Keep in mind, younger employees, especially those just out of school, are familiar with and expect state-of-the-art resources. They live and breathe with electronic devices and are wired 24/7. 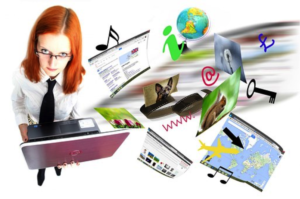 If they are expected to deliver rapid results from 20thcentury technology, they are likely to just check out. While you may not be able to upgrade the infrastructure, you can challenge them to make the existing equipment, software, and procedures more efficient by coming up with workarounds that make sense. They enjoy challenges like these that rely on their technology skills and require creativity and innovation to solve. Another obstacle for younger employees is the actual workplace—how work gets done, how to navigate workplace etiquette and politics, and how their role and job contributes to something important. Part of new employee orientation needs to address these issues. Younger Millennials were coddled by helicopter parents and have little exposure to criticism or rules. Generation Z, on the other hand, is scrappier and more career oriented. Both need to be indoctrinated into the world of work with guidance, coaching, and mentoring. You can discover more about managing younger generations in my Leading Multi-generation Teamsprogram and my newest program, Developing 21stCentury Leaders. 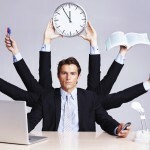 Are You Too Busy to Get Things Done? Busyness and productivity are not the same thing. 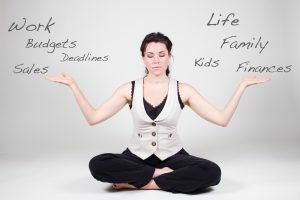 Often when we are “busy,” we’re running around, multi-tasking, juggling a dozen things, and accomplishing very little. We’re exhausted from the effort and have little to show for it. That’s busyness. Productivity means we are focusing on results and using our time prudently to achieve them. The Pareto Principle tells us that 80% of the results you need to achieve will come from just 20% of your effort. (See my blog post The Pareto Principle Makes You More Positively Productive for more information.) When you are busy and spinning your wheels, you are working on the 80% that produces the least important results. Plan your time to focus on this 20% by asking and answering one question: What action right now will contribute most to the 20%? Then, take that action or schedule time on your calendar to do it. Your career can’t be successful if you are always in a state of busyness. You need to cultivate focus and take small, consistent steps to achieve the results you need. See my GO System program for more information.